ESQUIRES is a modern law firm that has united highly-qualified experts with the magnificent experience of settlement of legal matters. The firm was established in November 2016 by Oleksandr Shkelebey, Opanas Karlin, Artem Saprykin, and Viktoria Kovalchuk. In May 2017 ESQUIRES was recognized as newcomer of the year at the Ukrainian Legal Awards 2017. ESQUIRES is a team of experts in various legal fields with a vision for collaboration and development of the legal market. We understand that our great performance and dedication is paramount to our own success and that of our clients. Our lawyers are more than capable of taking care of your most important legal issues either in Ukraine or in the EU. We are fully committed to providing our clients with the best possible legal service, integrating our legal experience with a practical business attitude. Crafting strategic, focused and efficient solutions we are always able to come up with tailor-made solutions for our clients. We provide full support with dispute resolution, business protection, white collar defense and investigations, mergers and acquisitions, corporate and tax, banking and finance, capital markets and real estate. Our expertise enables us to provide legal assistance on a broad range of matters, whether structuring and supporting significant transactions or advising on the legal aspects of day-to-day operations. We are fully committed to assisting our clients to reach their corporate goals and to building a successful business. ESQUIRES is a modern law firm that has united highly-qualified experts with the magnificent experience of resolving legal matters in dispute resolution, banking, finance and capital markets, corporate and tax law, business protection and white-collar defense. ESQUIRES is a team of professionals who have a common vision of joint work and development on the legal market. We understand that the effective work of our team is the key to our clients’ success. Our lawyers take care of the most important legal needs of clients wherever they do business. ESQUIRES’ clients are small and large businesses, operating both on national and international markets, they are individuals and companies doing business in Ukraine and abroad who value their time and resources. Our commitment is to provide our clients with high-quality services combining our legal knowledge with a practical business attitude. Crafting strategic, focused and efficient solutions, we create value for our clients. Our team provides the full spectrum of legal support in diverse areas such as dispute resolution, business protection, white-collar defense and investigations, mergers and acquisitions, corporate and tax, banking and finance, capital markets and real estate. Our expertise enables us to provide legal assistance on a wide variety of matters, either structuring and supporting significant transactions or advising on the legal aspects of day-to-day operations. We are committed to assist our clients to reach their corporate goals and to build a successful business. Financial and capital markets are changing rapidly and tremendously. Public multinational organizations constantly improve their policies and governments seek to implement modified and up-to-date regulatory frameworks. Know-your-customer (KYC) requirements are being strengthened and become just as important as examination of the financial status of borrowers. Ukraine’s collaboration with international partners and creditors where the prominent role belongs to the International Monetary Fund (IMF) requires deep reforms in various areas of the economy, including the financial and banking sectors. On one hand, structural reforms in the banking sector are almost complete and they were quite successful. On the other hand, financial and capital markets regulatory environment is still under discussion and an effective approach and modern functions are still to be implemented. Ukraine’s detailed obligations on reforming stock and securities markets and other financial non-banking institutions are provided in the respective Memorandum of Economic and Financial Policies. Investors and professional participants expect inevitable changes that would lead to maximum transparency of markets, equal access to full and fair information with respect to issuers and financial instruments. Those substantial factors would enable investors to evaluate risks carefully and take balanced investment decisions. The EU — Ukraine Association Agreement, IMF Memorandum as well as common sense and the interests of Ukraine all require the harmonization of national legislation with European legislation. It is important to understand that the functioning of capital markets is not something unique for a certain country, but on the contrary. Capital markets have been global for a lengthy period and free capital flows and mobility are basic principles. Taking into consideration the above, there is no chance of supervising and regulating markets effectively within the borders of a single jurisdiction. So, there is a clear need to adopt unified rules and move towards harmonization of Ukrainian legislation with European Union legislation. IOSCO Objectives and Principles of Securities Regulation may serve as a good driver of reforms on financial and capital markets on their way to international standards where the role of the regulator should be substantially modified. the regulator should seek to ensure that conflicts of interest and misalignment of incentives are avoided, eliminated, disclosed or otherwise managed. 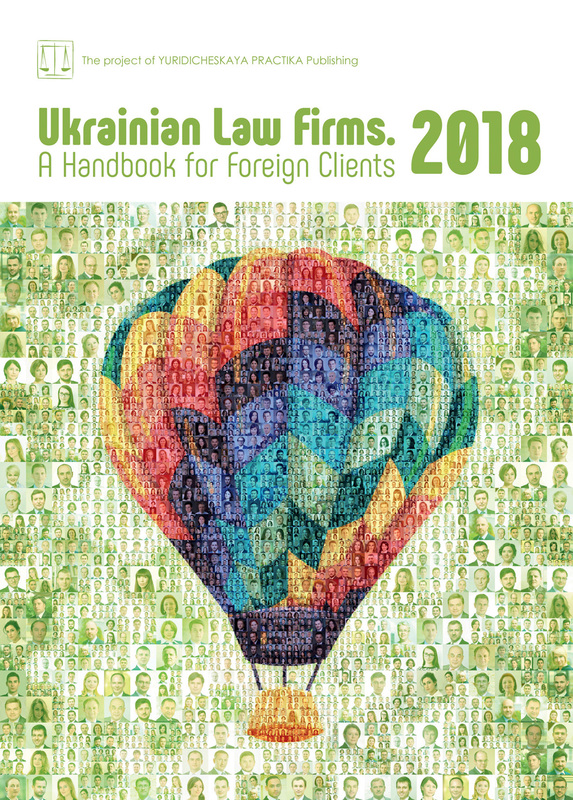 During 2017 — 2018 active work has been carried out with respect to the Draft Law of Ukraine On Amendments of Certain Legislative Acts of Ukraine Regarding Investors Protection against Malpractice on Capital Markets (the On the Regulator Draft Law). The purpose of the On the Regulator Draft Law is to find a sustainable balance between the powers and capacity of the regulator on the one hand and free, effective and fruitful functioning of financial and capital markets on the other hand. We at ESQUIRES believe that it is more than possible to find such a balance. Expected increasing transparency of securities and financial instruments issuers and professional participants of the capital markets who would provide to the NSSMC and make public full and valuable information that would create an excellent basis for qualified analytical work. In these circumstances the focus in the regulator’s functions should be shifted to deep analytics, effective cooperation and constant dialogue with market participants. In other words, the regulator should, when performing its functions and executing its powers, treat points (vi) and (vii) of the above IOSCO principles as milestones. We expect the Draft Law On the Regulator to provide the NSSMC with an effective instrument to achieve modern and effective regulation and development of financial and capital markets. A new procedure called “examination” is introduced in its amendments. This is not something unusual for the U.S. and European jurisdictions but it is a novelty for Ukraine. Examination should become a form of friendly interaction between the NSSMC and the participants of capital markets. No sanctions can be imposed as a result of examination; the regulator may only provide recommendations (action plan) although such recommendations will be mandatory for implementation. Thus, the key point of examination is to discover, mitigate and manage systemic risks on capital markets in order to avoid unexpected troubles. Investors expect the development of financial instruments and dealing procedures on markets. To this extent Draft Law of Ukraine No. 7055 On Capital Markets and Regulated Markets (the Draft Law On Capital Markets) is a very important document. Although it was sent for re-working in late February, we do expect the Draft Law On Capital Markets to be duly considered and adopted in 2018. Its main purpose is to create facilities for the diversification of financial instruments, especially secondary financial instruments, and to establish transparent and fair rules for their issue and flow. The Draft Law On Capital Markets sets a new legal field for regulated and non-regulated derivatives, provides issuers and investors with the relevant high degree of freedom of operation either on regulated or non-regulated markets. There are serious and reasonable grounds to believe that unification of commodities markets facilities, especially the power energy market, with derivatives markets, would produce a good impulse to reactivate and develop capital markets and towards diversification of financial instruments for investments. By way of conclusion, we are quite optimistic on further development and diversification of Ukrainian capital markets. Consolidation of financial, securities, banking, and insurance regulators is another important international (European) trend. Some countries, like Germany and Austria, accepted the concept of a single regulator which should supervise and manage the financial sector as a whole, acting on the so-called “One-Stop-Shopping” principle. Many experts think that integrated and consolidated supervision and regulation of financial and capital markets, including banking and insurance sectors, is the future of regulation procedures, on the one hand, and, a requirement of markets on the other hand. Such an integrated approach would (and in Germany does) enable the regulation of tightly connected markets grounding on intersectoral macro-prudential and micro-prudential supervision. Ukraine expects to take the first step on the consolidation path. Draft Law of Ukraine No. 2413a On Consolidation of State Regulation of Financial Services Markets Functions (the Split Draft Law) has been in the Verkhovna Rada for a quite long time and will hopefully be adopted in 2018. The Split Draft Law provides for the transfer of supervisory functions at certain financial markers from the National Commission Exercising Regulation at Financial Services Markets to the NSSMC and the National Bank of Ukraine (NBU), respectively. Powers regarding regulation and supervision of the activities of insurance and leasing companies, credit unions, other non-banking creditors, credit bureaus, pawnbrokers, and other financial institutions would be transferred to the NBU and non-government pension funds, issuers of mortgage securities, construction financing funds and real estate agencies — to the NSSMC. The split would be a good and reasonable move towards harmonizing supervisory and regulatory principles with European legislation too as it would be in full compliance with the IOSCO principles and objectives discussed above. To conclude, we would like to admit that all the above novels and trends should be performed in such a way as to seek to establish a high level of trust between participants of capital markets, investors, and regulators to achieve strong and sustainable growth. As Francis Fukuyama said: “One of the most important lessons we can learn from an examination of economic life is that a nation’s well being, as well as its ability to compete, is conditioned by a single pervasive cultural characteristic: the level of trust inherent in society”.